How to Hunt the Autumn Rut. Michigan’s Upper Peninsula is a fun place for fall hunting. 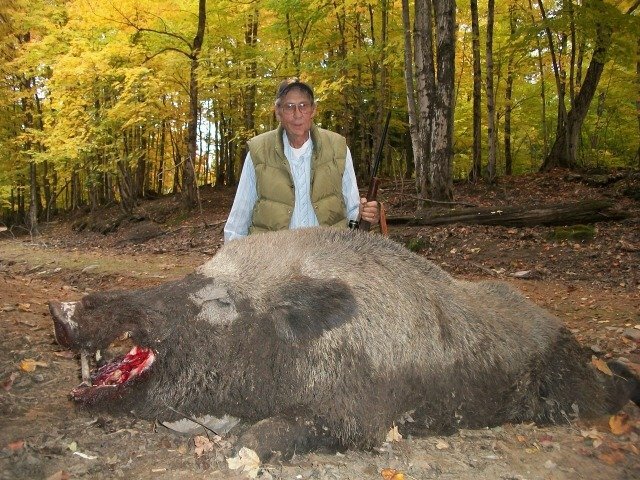 North Dakota Hunter Slays a “Monster” Boar with High Powered Rifle. Spot & Stalk techniques are an excellent way to learn how to Hunt the Alpha Beast! Deep in the darkest recesses of the Great Northern Forest is a Beast that is worth of your Attention. You Hunt Him and He Hunts You. These are the “Bad Boys” of the North. 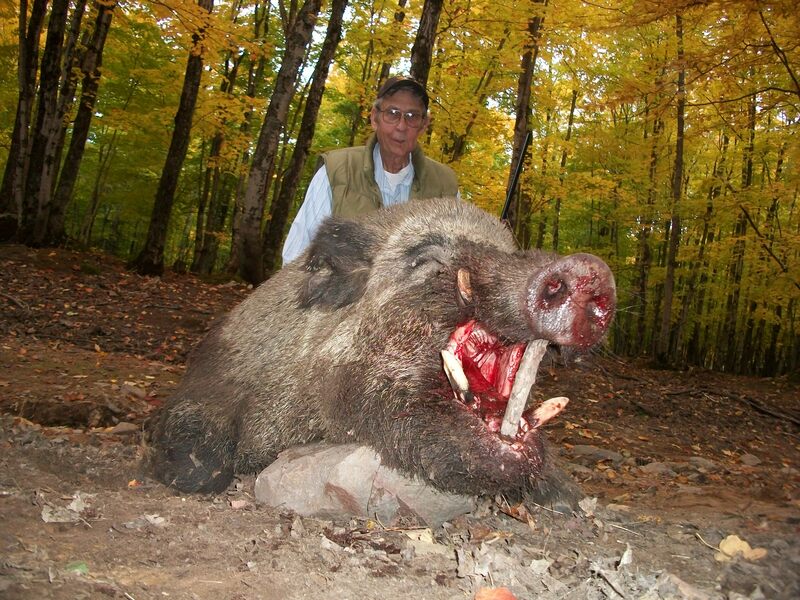 Do not underestimate your prey when hunting wild boar. Journey North to pursue your dream of hunting and slaying a Genuine Giant Boar. It does not matter whether you come to Hunt this beast by yourself or with a group of hunting companions. This Hunt is about You. 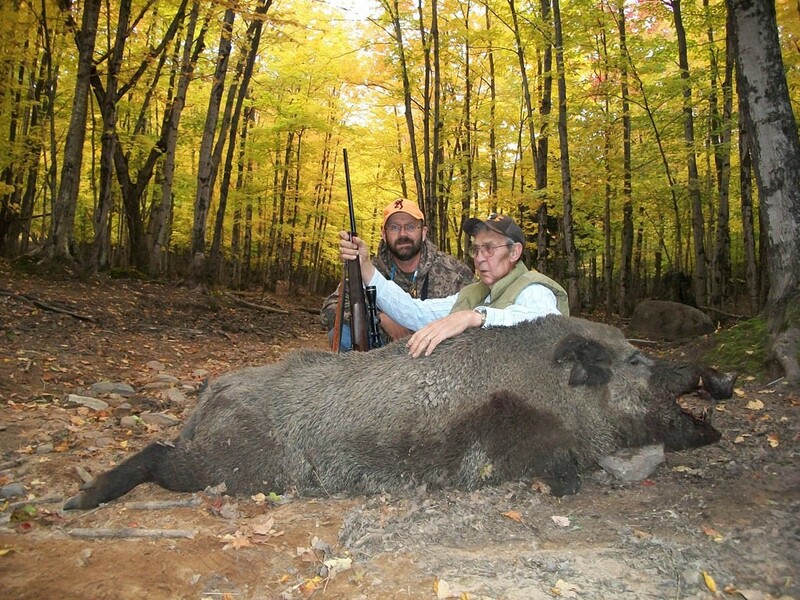 Experience is a fully Guided Boar Hunting Adventure. Hunting in the early fall is a wonderful time to hunt. The temperatures are still moderate and the weather more predictable. You gain distinct benefits hunting this time of the year. Visibility is drastically increased with the leaves falling, but keep in mind, you aren’t the only one benefiting! The forest floor is still quiet in many places, green plants still sprout up and the leaves are newer and less prone to give away a stalking hunter. For this boar Frank chose to ambush him with tons of horsepower. He wields a high powered rifle capable of taking down big wild boar. An ambush attack generally gives the hunter an excellent rest, helping to make all the shots hit home. 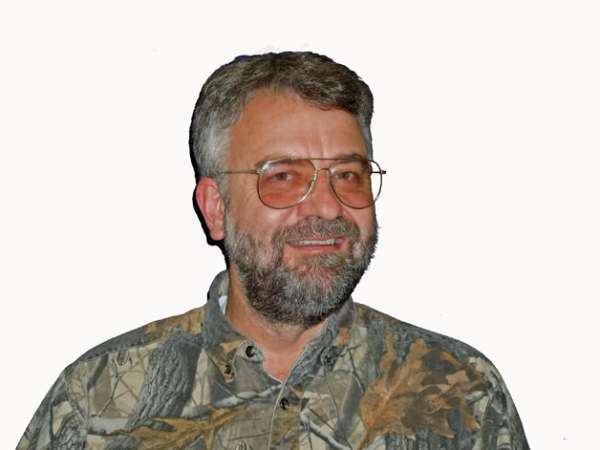 The other benefit is silence, pig hunting can be difficult and knowing how to hunt in different environments is crucial. With excellent hearing big boars can sometimes leave an area before you approach. Ambushing lets you blend into there environment and strike when ready. Having a fully guided hunt for animals you are unfamiliar with is the best way to Hunt. Knowing tendencies of an animal is crucial and lets you get to know the animals quicker. 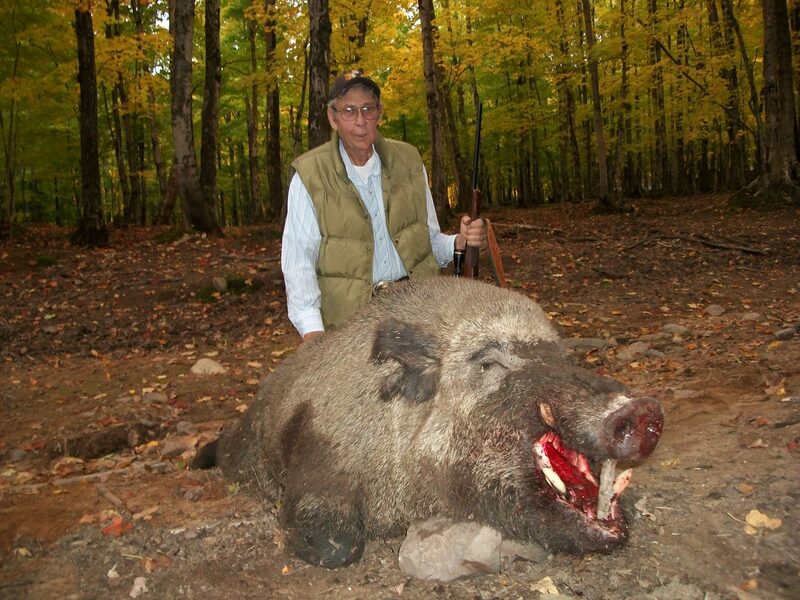 Knowing how to hunt boar isn’t one size fits all, deer hunting is much different than boar hunting for example. Knowing your prey can keep you the hunter and the boar the hunted. After mastering these hunting techniques its time to go after the big Boars. This monster took a couple shots to go down but Frank is an excellent shot and wouldn’t let him escape. 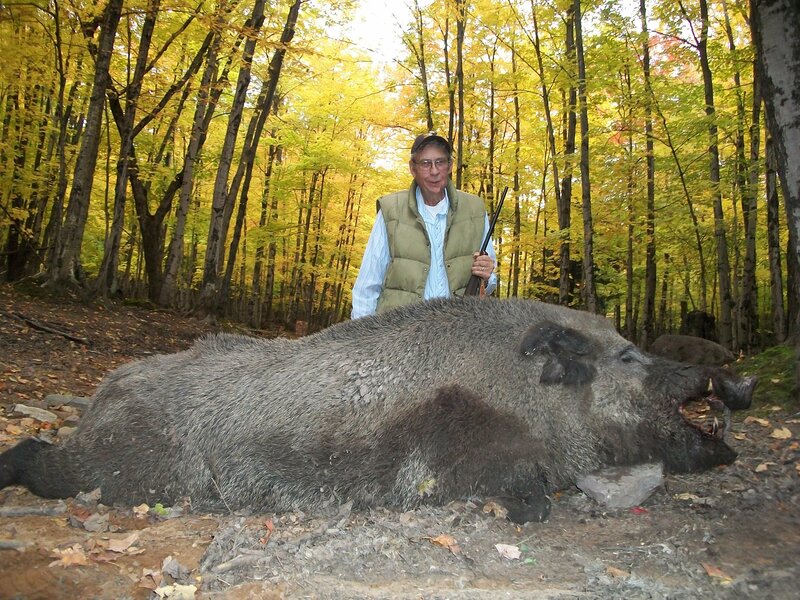 When Boars are this large, a great hunting tip include “reload quick” and “shoot again”. Click Here to Sign up for Rates & Options! Hello my name is Greg Johnson, my friends call me the Moose Man. I would like to invite you to discover and investigate the website. Go ahead and click on the links above.